Providing you the best range of plastic dustbin, nilkamal dustbin and ss perforated dustbin with effective & timely delivery. 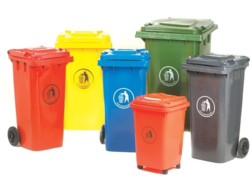 deals into Plastic Dustbin, also known as trolley garbage bins, which are of uniform sizes approved by the government. The bins are inclusive of the lid. As a leading manufacturer and supplier of Nilkamal Dustbin, we have been recognized as a trusted name in the market. Say goodbye to dust and dirt by enhancing the living space with this dustbin. This one looks just fine when kept in the corner of the room and is a must-have household item. It comes with easy to clean ability, perfect size and great design as well. Reliability and durability are the features that come along with this one. 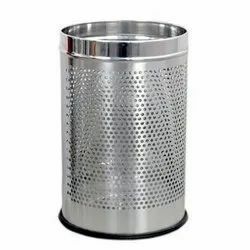 SS Perforated Dustbin is prepared from fine quality of stainless steel. It has a smooth finishing with damage proof features.